This classic shotgun slip has been designed to carry most shotguns with barrels up to 32". It also benifits from a full length zip, fleece lining and adjustable shoulder strap. Just purchased another slip for my partner as the first one was extremely good and well priced. Excellent service, delivered next day on time. The gun slip its self is top quality , my gun is, with external chokes, 31 inches and fits into the case perfectly.&nbsp;The fleece lining is thick and very good quality as is the whole slip.&nbsp;I'm so impressed I've just ordered the matching cartridge case, from Uttings of course. The usual excellent service and fast next day delivery. A quality product and excellent value for money. 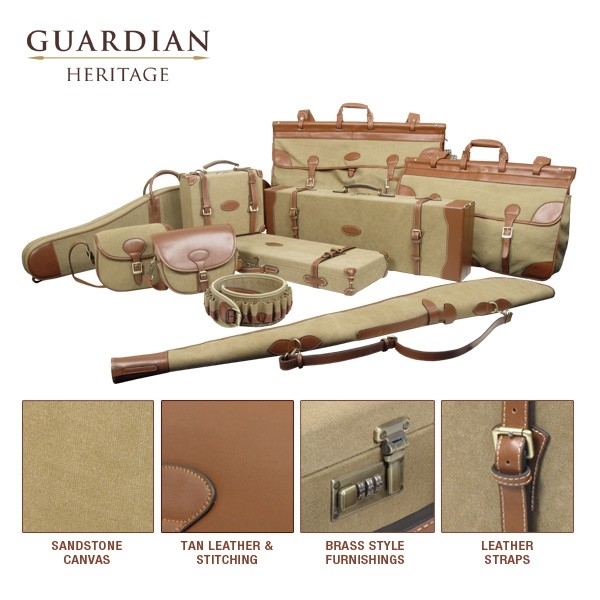 I have owned a Guardian cartridge bag for a couple of years and did not hesitate in purchasing a matching gun slip when I needed one. I was very pleasantly surprised at the quality of leather trim and overall finish of this gun slip. I don't want to promote a price rise by saying the product is too cheap, but I'm buying another one today for my son's birthday before anyone realises! !